Get ready to wear those summer shoes with this fabulous product!!! Kit includes a pair of feet mask. Soak feet for 1 hour, then enjoy watching your feet exfoliate over the next few days. You will not believe how soft and smooth your feet will be at the end of the week!! 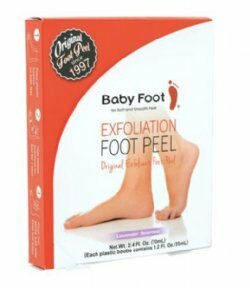 Includes 16 natural extracts to moisturize and hydrate your feet.